Calling all 90s kids, this one is for you! 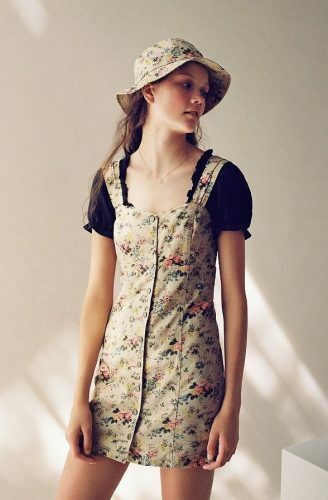 Cult favorite Laura Ashley has joined hands with Urban Outfitters to bring you a collection filled with 90s-inspired pieces featuring Laura Ashley’s signature Victorian prints and silhouettes. The collection consists of 13 styles – from floral print dresses to perfectly printed bucket hats. Can’t wait to wear every single piece from this collaboration? Lace up your boots and scoop them up from urbanoutfitters.com before they are gone!